When I picked up Big Magic – Creative Living Beyond Fear by Elizabeth Gilbert, I was concerned that it might miserably disappoint me. A few writers unknowingly did that to me in the past. Usually the first book was fascinating, so I went on to read another one or two of their works. Sometimes they were great. More often than not, that did not work out well. Suffice it to say that on those occasions I wished I did not read that much. Some years ago, I read Eat Pray Love, by far the most acclaimed book by Elizabeth Gilbert, maybe three or four times. Despite my relatively young age at the time, the reading experience was great. I do not recall many details. If I do not dig it out and flip through the pages again now, the gist of the book to me has been to dare to travel and do something completely new and out of my comfort zone. My point is, the details of the story did not stay with me. But I know that if the circumstance is right, it is doable to leave everything behind and start all over again in some country that I do not speak its language. To know that option is available gives me tremendous courage. I was in awe with the writer, and I have not dared to read any other books from her ever since Eat Pray Love. The fear of disappointment. 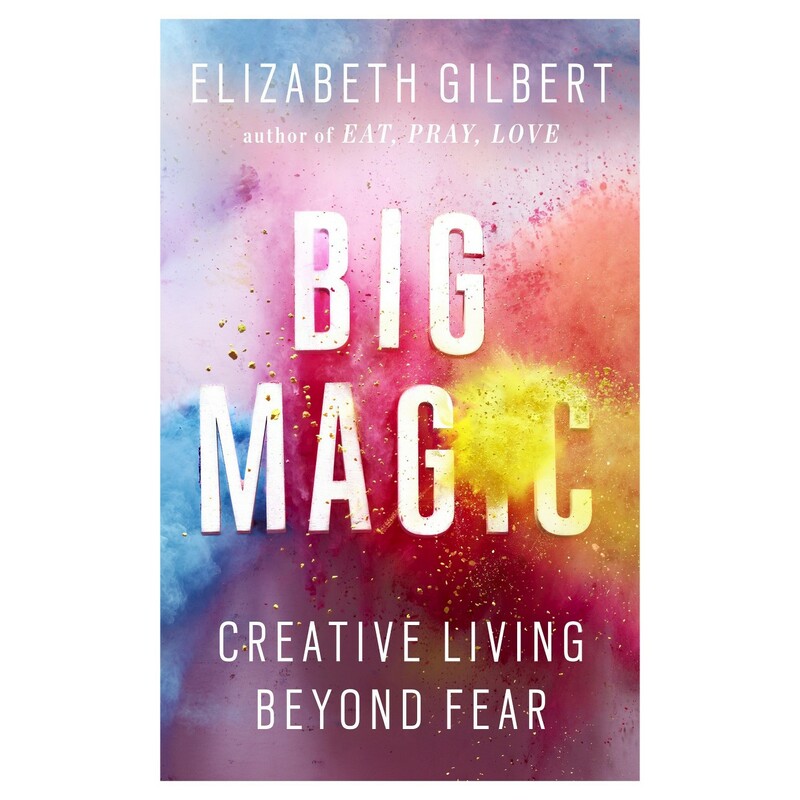 For whatever irrational short-lived reasoning that has been totally forgotten by me, I picked up Big Magic and read it. It was my best decision of recent weeks. In the beginning of 2018, Syrus Ziai, whom I highly respect, advised me to examine my decisions only in three years plus timeframe, in a different context. His advice comes to my mind every time I make decision now. It is a great fortune of mine to have met Syrus and exchanged a few thoughts over time. If I were to create a list of names, objects, or anything that I have a very positive feeling about this year, both Syrus and Big Magic would be on that list. For as long as I can remember, I have this rosy belief that I can do whatever I put my mind into (within the legal and moral boundary and so on), landscaping designer, writer, dancer, scientist, painter, architect, baker, any kind of artist etc. Some recent experiences have caused a dent in my belief. I let myself hide in my favourite part of California, away from all, crying and being pathetic for two and half days. By the end of that self-imposed time window, I moved on with a newly risen level of that belief. No one needs permission from the world to pursue what she is passionate about. What she needs are support and guidance. Reading this book reaffirms my belief and eliminates the doubt that I might be too crazy. Pursuing a life of creativity requires no certificate, no permission, little down payment if any materialistic investment. Go for it. Do not let anyone tell you that you are X, could never achieve Y. Live well. There are uncountable possibilities. I decided to play the game of rejection letters as if it were a great cosmic tennis match: somebody would send me a rejection, and I would knock it right back over the net, sending out another query that same afternoon. My policy was: you hit it to me, I’m going to hit it straight back out into the universe. Grieve if you must, but grieve efficiently. Better to just say goodbye to the lost idea with dignity and continue onward. Find something else to work on – anything, immediately – and get at it. Keep busy. I was instantly intrigued by Ann (Patchett), not only because I’d always admired her work, but because she is a rather remarkable presence in person. Ann has a preternatural ability to render herself very small – nearly invisible – in order to better observe the world around her in safe anonymity, so that she can write about it, unnoticed. In other words, her superpower is to conceal her superpowers. I am a child of God, just like anyone else. I am a constituent of this universe. I have invisible spirit benefactors who believe in me, and who labor alongside me. The fact that I am here at all is evidence that I have the right to be here. I have a right to my own voice and a right to my own vision. I have a right to collaborate with creativity, because I myself am a product and a consequence of Creation. I’m on a mission of artistic liberation, so let the girl go. You can recognise the people who live for others by the haunted look on the faces of the others. Learning how to endure your disappointment and frustration is part of the job of a creative person….Frustration is not an interruption of your process; frustration is the process….You don’t just get to leap from bright moments to bright moments. How you manage yourself between those bright moments, when things aren’t going so great, is a measure of how devoted you are to your vocation, and how equipped you are for the weird demands of creative living. Holding yourself together through all the phases of creation is where the real work is. You are free, because everyone is too busy fussing over themselves to worry all that much about you. Go be whomever you want to be, then. Do whatever you want to do. Pursue whatever fascinates you and brings you to life. Create whatever you want to create – and let it be stupendously imperfect, because it’s exceedingly likely that nobody will even notice. And that’s awesome. What would you do even if you knew that you might very well fail? What do you love doing so much that the words failure and success essentially become irrelevant? What do you love even more than you love your own ego? How fierce is your trust in that love?…What else are you going to do with your time here on earth – not make things? Not do interesting stuff? Not follow your love and your curiosity? I have never created anything in my life that did not make me feel, at some point or another, like I was the guy who just walked into a fancy ball wearing a homemade lobster costume. But you must stubbornly walk into that room, regardless, and you must hold your head high. You made it; you get to put it out there. Never apologize for it, never explain it away, never be ashamed of it. You did your best with what you knew, and you worked with what you had, in the time that you were given. You were invited, and you showed up, and you simply cannot do more than that. Art is a crushing chore and a wonderful privilege. Only when we are at our most playful can divinity finally get serious with us.